The idea that depression and other mental health conditions are caused by an imbalance of chemicals in the brain is so deeply ingrained in our psyche that it seems almost sacrilegious to question it. Direct-to-consumer-advertising (DCTA) campaigns, which have expanded the size of the antidepressant market (Donohue et al., 2004), revolve around the claim that SSRIs (the most popular class of antidepressants) alleviate depression by correcting a deficiency of serotonin in the brain. These days serotonin is widely promoted as the way to achieve just about every personality trait that is desirable, including self-confidence, creativity, emotional resilience, success, achievement, sociability and high energy. And the converse is also true. Low serotonin levels have been implicated in almost every undesirable mental state and behavioral pattern, such as depression, aggressiveness, suicide, stress, lack of self-confidence, failure, low impulse control, binge eating and other forms of substance abuse. In fact, the idea that low levels of serotonin cause depression has become so widespread that it’s not uncommon to hear people speak of the need to “boost their serotonin levels” through exercise, herbal supplements or even sexual activity. The “chemical imbalance” theory is so well established that it is now part of the popular lexicon. It is, after all, a neat theory. It takes a complex and heterogeneous condition (depression) and boils it down to a simple imbalance of two to three neurotransmitters (out of more than 100 that have been identified), which, as it happens, can be “corrected” by long-term drug treatment. This clear and easy-to-follow theory is the driving force behind the $12 billion worth of antidepressant drugs sold each year. However, there is one (rather large) problem with this theory: there is absolutely no evidence to support it. Recent reviews of the research have demonstrated no link between depression, or any other mental disorder, and an imbalance of chemicals in the brain (Lacasse & Leo, 2005; (Valenstein, 1998). Folks, at this point you might want to grab a cup of tea. It’s going to take a while to explain the history of this theory, why it is flawed, and how continues to persist in light of the complete lack of evidence to support it. I will try to be as concise as possible, but there’s a lot of material to cover and a lot of propaganda I need to disabuse you of. Ready? Let’s start with a bit of history. The first antidepressant, iproniazid, was discovered by accident in 1952 after it was observed that some tubercular patients became euphoric when treated with this drug. A bacteriologist named Albert Zeller found that iproniazid was effective in inhibiting the enzyme monoamine oxydase. As its name implies, monoamine oxydase plays an essential role in inactivating monoamines such as epinephrine and norepinephrine. Thus, iproniazid raised levels of epinephrine and norepinephrine which in turn led to stimulation of the sympathetic nervous system – an effect thought to be responsible for the antidepressant action of the drug. At around the same time, an extract from the plant Rauwolfia serpentina was introduced into western psychiatry. This extract had been used medicinally in India for more than a thousand years and was thought to have a calming effect useful to quite babies, treat insomnia, high blood pressure, insanity and much more. In 1953 chemists at Ciba, a pharmaceutical company, isolated the active compound from this herb and called it reserpine. In 1955 researchers at the National Institutes of Health reported that reserpine reduces the levels of serotonin in the brains of animals. It was later established that all three of the major biogenic amines in the brain, norepinephrine, serotonin, and dopamine, were all decreased by reserpine (again, in animals). In animal studies conducted at around the same time, it was found that animals administered reserpine showed a short period of increased excitement and motor activity, followed by a prolonged period of inactivity. The animals often had a hunched posture and an immobility that was thought to resemble catatonia (Valenstein, 1998). Since reserpine lowered levels of serotonin, norepinephrine and dopamine, and caused the effects observed in animals, it was concluded that depression was a result of low levels of biogenic amines. Hence, the “chemical imbalance” theory is born. However, it was later found that reserpine only rarely produces a true clinical depression. Despite high doses and many months of treatment with reserpine, only 6 percent of the patients developed symptoms even suggestive of depression. In addition, an examination of these 6 percent of patients revealed that all of them had a previous history of depression. (Mendels & Frazer, 1974) There were even reports from a few studies that reserpine could have an antidepressant effect (in spite ofreducing levels of serotonin, norepinephrine and dopanmine). As it turns out, that is only the tip of the iceberg when it comes to revealing the inadequacies of the “chemical imbalance” theory. Reducing levels of norepinephrine, serotonin and dopamine does not actually produce depression in humans, even though it appeared to do so in animals. The theory cannot explain why there are drugs that alleviate depression despite the fact that they have little or no effect on either serotonin or norepinephrine. Drugs that raise serotonin and norepinephrine levels, such as amphetamine and cocaine, do not alleviate depression. No one has explained why it takes a relatively long time before antidepressant drugs produce any elevation of mood. Antidepressants produce their maximum elevation of serotonin and norepinephrine in only a day or two, but it often takes several weeks before any improvement in mood occurs. Although some depressed patients have low levels of serotonin and norepinephrine, the majority do not. Estimates vary, but a reasonable average from several studies indicates that only about 25 percent of depressed patients actually have low levels of these metabolites. Some depressed patients actually have abnormally high levels of serotonin and norepinephrine, and some patients with no history of depression at all have low levels of these amines. Although there have been claims that depression may be caused by excessive levels of monoamine oxydase (the enzyme that breaks down serotonin and norepinephrine), this is only true in some depressed patients and not in others. Antidepressants produce a number of different effects other than increasing norepinephrine and serotonin activity that have not been accounted for when considering their activity on depression. Another problem is that it is not now possible to measure serotonin and norepinephrine in the brains of patients. Estimates of brain neurotransmitters can only be inferred by measuring the biogenic amine breakdown products (metabolites) in the urine and cerebrospinal fluid. The assumption underlying this measurement is that the level of biogenic amine metabolites in the urine and cerebrospinal fluid reflects the amount of neurotransmitters in the brain. However, less than one-half of the serotonin and norepinephrine metabolites in the urine or cerebrospinal fluid come from the brain. The other half come from various organs in the body. Thus, there are serious problems with what is actually being measured. Finally, there is not a single peer-reviewed article that can be accurately cited to support claims of serotonin deficiency in any mental disorder, while there are many articles that present counterevidence. Furthermore, the Diagnostic and Statistical Manual of Mental Disorders (DSM) does not list serotonin as the cause of any mental disorder. The American Psychiatric Press Textbook of Clinical Psychiatryaddresses serotonin deficiency as an unconfirmed hypothesis, stating “Additional experience has not confirmed the monoamine depletion hypothesis” (Lacasse & Leo, 2005). When all of this evidence is taken in full, it should be abundantly clear thatdepression is not caused by a chemical imbalance. How have we been fooled? 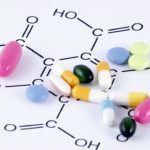 There are several reasons the idea that mental disorders are caused by a chemical imbalance has become so widespread (and none of them have anything to do with the actual scientific evidence, as we have seen). It is known that people suffering from mental disorders and especially their families prefer a diagnosis of “physical disease” because it does not convey the stigma and blame commonly associated with “psychological problems”. A “physical disease” may suggest a more optimistic prognosis, and mental patients are often more amenable to drug treatment when they are told they have a physical disease. Patients are highly susceptible to Direct-to-Consumer-Advertising (DCTA). It has been reported that patients are now presenting to their doctors with a self-described “chemical imbalance” (Kramer, 2002). This is important because studies show that patients who are convinced they are suffering from a neurotransmitter defect are likely to request a prescription for antidepressants, and may be skeptical of physicians who suggest other interventions such as cognitive behavioral therapy (DeRubeis et al., 2005). It has also been shown that anxious and depressed patients “are probably more susceptible to the controlling influence of advertisements (Hollon MF, 2004). The benefit of the chemical imbalance theory for insurance companies and the pharmaceutical industry is primarily economic. Medical insurers are primarily concerned with cost, and they want to discourage treatments (such as psychotherapy) that may involve many contact hours and considerable expense. Their control over payment schedules enables insurance companies to shift treatment toward drugs and away from psychotherapy. The motivation of the pharmaceutical companies should be fairly obvious. As mentioned previously, the market for antidepressant drugs is now $12 billion. All publicly traded for-profit companies are required by law to increase the value of their investor’s stock. Perhaps it goes without saying, but it is a simple fact that pharmaceutical companies will do anything they legally (and sometimes illegally) can to maximize revenues. Studies have shown that the advertisements placed by drug companies in professional journals or distributed directly to physicians are often exaggerated or misleading and do not accurately reflect scientific evidence (Lacasse & Leo, 2005). While physicians deny they are being influenced, it has been shown repeatedly that their prescription preferences are heavily affected by promotional material from drug companies (Moynihan, 2003). Research also suggests that doctors exposed to company reps are more likely to favor drugs over non-drug therapy, and more likely to prescribe expensive medications when equally effective but less costly ones are available (Lexchin, 1989). Some studies have even shown an association between the dose and response: in other words, the more contact between doctors and sales reps the more doctors latch on to the “commercial” messages as opposed to the “scientific” view of a product’s value (Wazana, 2000). The motivation of psychiatrists to accept the chemical imbalance theory is somewhat more subtle. Starting around 1930, psychiatrists became increasingly aware of growing competition from nonmedical therapists such as psychologists, social workers and counselors. Because of this, psychiatrists have been attracted to physical treatments like drugs and electroshock therapy that differentiate them from nonmedical practitioners. Psychiatry may be the least respected medical specialty (U.S. General Accounting Office report). Many Americans rejected Fruedian talk therapy as quackery, and the whole field of psychiatry lacks the quality of research (randomized, placebo-controlled, double-blind experiments) that serves as the gold-standard in other branches of medicine. Of course there are also many “benefits” to going along with the conventional “chemical imbalance” theory, such as free dinners, symphony tickets, and trips to the Caribbean; consultancy fees, honoraria and stock options from the pharmaceutical companies; and a much larger, growing private practice as the $20 billion spent by drug companies on advertising brings patients to the office. Psychiatrists are just human, like the rest of us, and not many of them can resist all of these benefits. In sum, the idea that depression is caused by a chemical imbalance is a myth. Pharmaceutical ads for antidepressants assert that depression is a physical diseases because that serves as a natural and easy segue to promoting drug treatment. There may well be biological factors which predispose some individuals toward depression, but predisposition is not a cause. The theory that mental disorders are physical diseases ignores the relevance of psychosocial factors and implies by omission that such factors are of little importance. Stay tuned for future articles on the psychosocial factors of depression, the loss of sadness as a normal response to life, and the branding of new psychological conditions as a means of increasing drug sales. Blaming the Brain, by Elliot Valenstein Ph.D. Rethinking Psychiatric Drugs, by Grace Jackson M.D. America Fooled: The truth about antidepressants, antipsychotics and how we’ve been deceived, by Timothy Scott Ph.D.